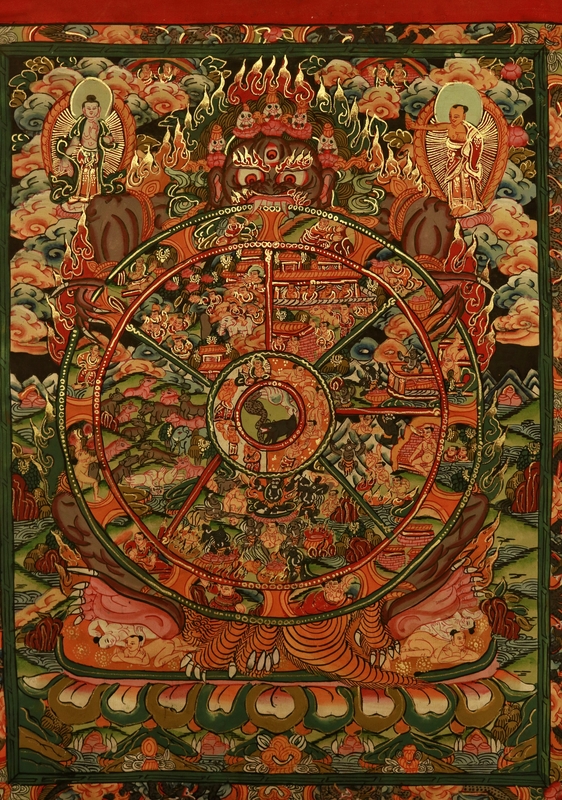 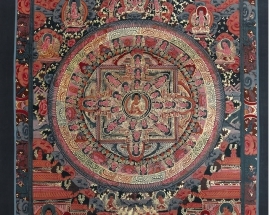 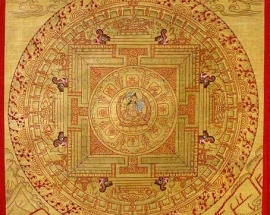 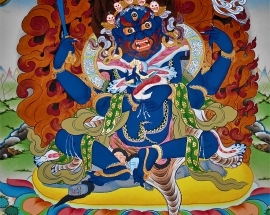 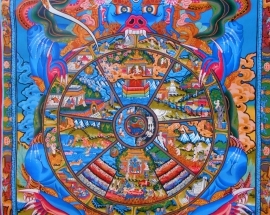 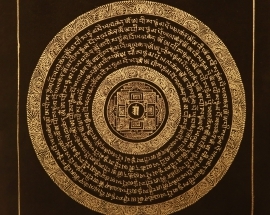 The Wheel of Life is a presentation of Buddhist teaching on the suffering and is cyclic in form. 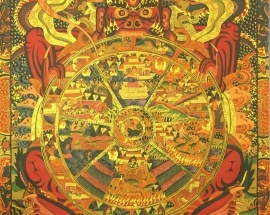 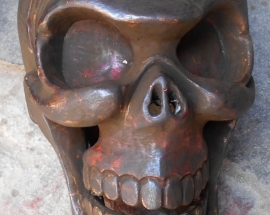 Essentially it is a metaphysical diagram made up of four concentric circles, held with a firm grip by Yama, the Lord of Death. 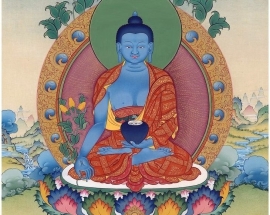 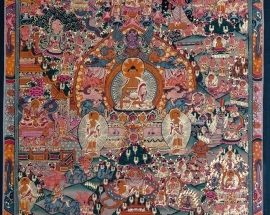 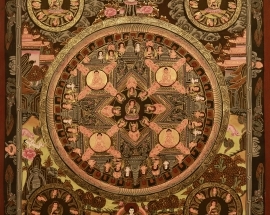 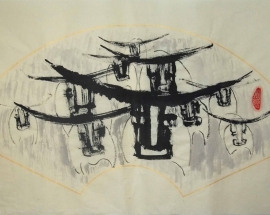 Above the wheel, the sky with clouds or stars is the symbol of freedom from cyclic existence or Samsara, and the Buddha pointing at it indicates the liberation is possible. 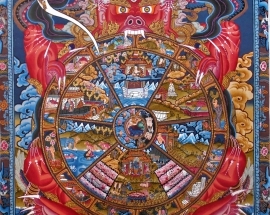 In the center of the wheel, there are three animals symbols of the “Three Poisons”: ignorance (the pig), attachment (the bird) and anger (the snake).